Smooth polarized plastic lenses offer 100% UVA/UV and a soft gradient coating. 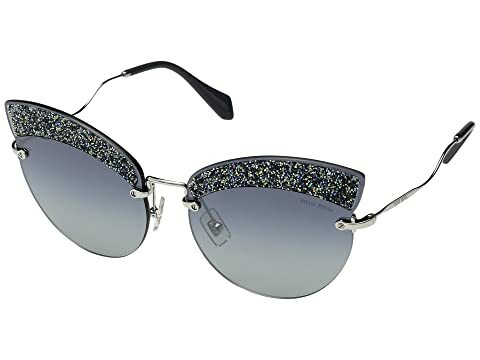 Decorative cat-eye piece attached to each main lens decorated with sparking crystals or colorful shimmering embellishments for desired look. Softly embossed brand name logo featured at left lens. We can't currently find any similar items for the 0MU 58TS by Miu Miu. Sorry!